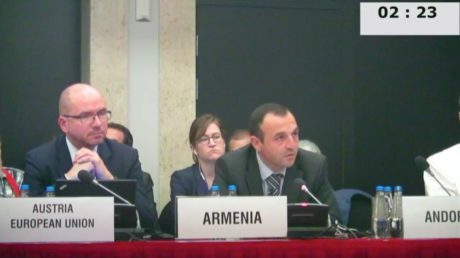 Later, Deputy Head of Permanent Delegation of Armenia to the OSCE David Knyazyanspoke about freedom of movement in the South Caucasus and slandered the official Baku and Ankara. 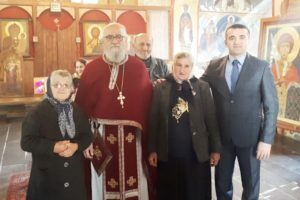 David Knyazyan claimed that Armenia is currently blockaded by Turkey and Azerbaijan. 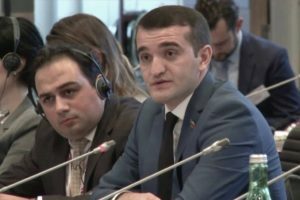 Pointing to the Turkish-Azerbaijani joint military exercises in Baku yesterday, the Armenian ambassador expressed his concern. The main tension has been experienced later. 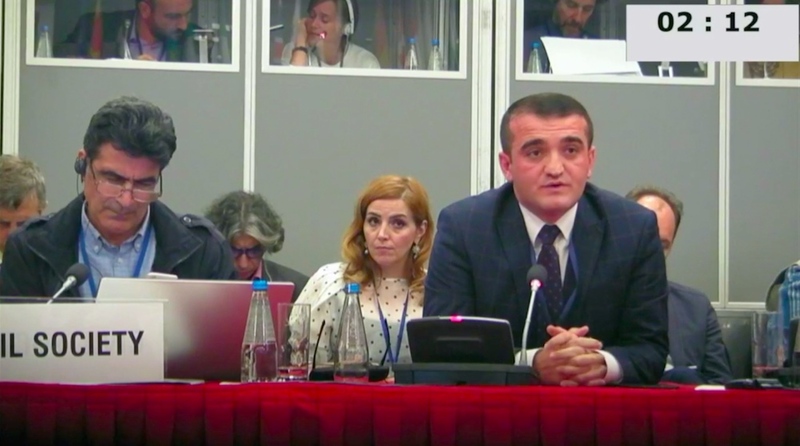 Speaking after the Armenian ambassador, head of the Azerbaijan Institute for Democracy and Human Rights Dr. Ahmad Shahidovspoke on “Fundamental freedoms and national human rights organizations in the South Caucasus”. During the speech of Azerbaijani human rights defender, Armenian ambassador David Knyazyan used the veto right and has demanded Ahmad Shahidov’s speech to be prevented. Armenian diplomat claimed that unlike other human rights defenders, Ahmad Shahidov has been focusing his recent years’ speeches on the Nagorno-Karabakh conflict and has been criticizing Armenia in all OSCE meetings. The Armenian diplomat’s veto was not accepted as substantiated and the floor was again given to Ahmad Shahidov. 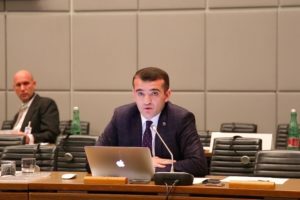 Human rights defender Ahmad Shahidov spoke about the OSCE principles and said that participation of representatives of the separatist regimes in international events is inadmissible and it is completely incompatible with the fundamental principles of the OSCE and the territorial integrity of the countries. 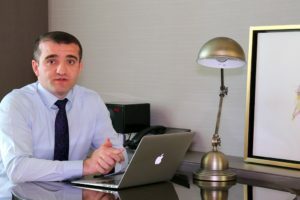 Later, Ahmad Shahidov responded to the Armenian ambassador’s remarks and said that Azerbaijan is a multicultural country and that all peoples, including armenians, live in Azerbaijan in a comfortable way. 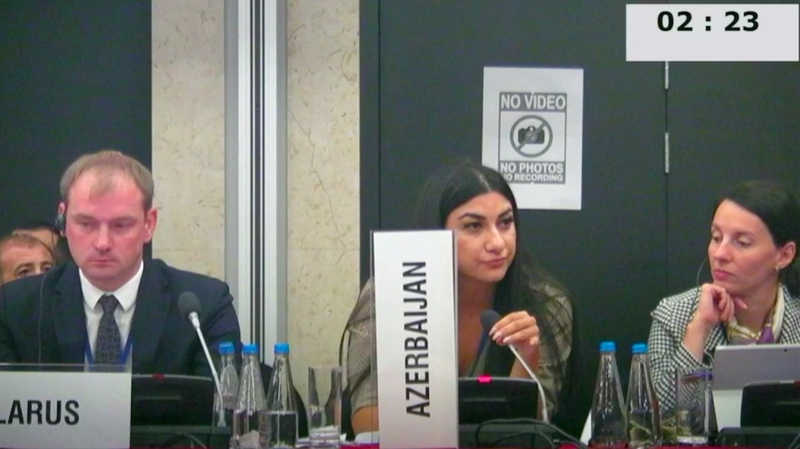 Human rights defender once again highlighted that the Nagorno-Karabakh and other occupied regions are Azerbaijan’s territory, and urged representatives and diplomats from 57 countries to respect the UN resolutions and territorial integrity of Azerbaijan: “I would like to comment on speech of Harutyun Grigoryan, who spoke before me and introduced himself as a representative of the so-called separatist regime of “Artsakh”. I would like to emphasize one more time that Nagorno-Karabakh and other occupied regions are the territories of the Republic of Azerbaijan. 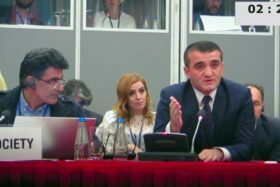 And here I also appeal to the OSCE Secretariat not to register participation of persons representing such separatist regimes in the events. 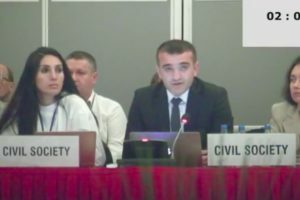 I urge everyone here to respect the UN resolutions, the basic principles of the OSCE, including the territorial integrity of the Republic of Azerbaijan.”After the speech of the Azerbaijani human rights defender, the representative of the separatist regime Harutyun Grigoryan was removed from the conference hall.